Cosmetic Dentistry in Oakville ON: Why do you need it? A re you not satisfied with the appearance of your teeth? Are you ready to make changes in your smile? Cosmetic dentistry provides excellent solutions for restoring your smile. Whether you want whiter teeth or are worried about a gap or chipped tooth, cosmetic dentistry services can provide you your most attractive smile. Many cosmetic dental procedures involve restorative treatments to ensure that the patient gets an enhanced appearance (form) along with effective chewing (function). Many factors make cosmetic dentistry the first choice for people to restore their smiles. Cosmetic dentistry in Oakville ON can improve an individual’s oral health, raise their self-esteem, enhance their smile, add to their professional success, and improve their relationships. Do your teeth have gaps between them? Cosmetic dentistry provides various options such as bonding and veneers for closing the gaps between teeth. 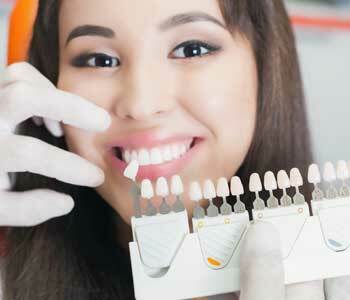 Dentists use bonding to fill small gaps and chips. Veneers, in turn, can be used for covering large gaps and re-shaping teeth to create a better smile. Fixing the gaps between teeth is an easy process that can ensure huge rewards. Do you have stained or yellowed teeth? Teeth whitening serves as a wonderful solution in case of stained or yellowed teeth. Many other methods can also be used for addressing the issue. Teeth whitening procedures can be used for sensitive teeth as well. 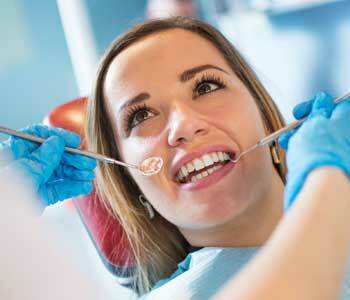 You should consult with the cosmetic dentist to identify which procedures work for you. A brighter smile not only makes you look young, but also increases your self-confidence and self-esteem. Nowadays, many people opt for teeth straightening procedure. One great option for crooked teeth is wearing clear braces that are not even noticeable. You will feel more comfortable with a beautiful smile in social situations. A straight smile gives you the extra boost you have been waiting for years. Beauty experts confirm that the smile of a person outranks hair, eyes, and body as dominant physical features. A smile serves as a vital element of the way others view and perceive you. It also affects how you view and perceive yourself every day as you look in the mirror. A smile boosts your confidence. When a person is greeted with a smile on the face, it activates the brain’s reward system, and the person is more likely to respond with a smile due to the release of those positive chemicals. Smiling and eye contact allows you to be more approachable and represents you as a friendly person. You can place your best face forward with cosmetic dentistry. You can smile the way you always wanted to, and create happy relationships not only at home but also in the office and around your town! When you invest time and money in improving your smile, you are more motivated to maintain the results. You may prefer to change your eating and drinking habits with an improved smile. You will more likely start avoiding foods and drinks that may darken or stain your teeth. Avoiding teeth staining foods like coffee, sodas, junk foods, and cigarettes result in improved oral health. Misaligned teeth may sometimes cause a severe headache. An unnatural bite can lead to a headache and tooth pain. Crooked teeth can exert extreme pressure on the gums and nerves, thereby channeling pain towards your head. 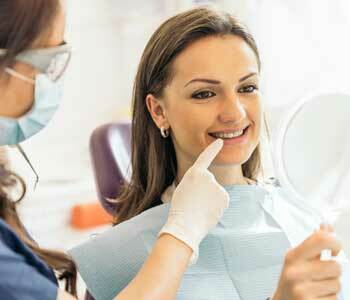 Cosmetic dentistry procedures help in fixing the problem using dental appliances to align teeth. Misaligned, cracked, decayed, or missing teeth can make it painful to chew. Eating can again be a pleasurable activity by correcting these problems. Damaged, cracked, or chipped teeth are more prone to decay. Eventually, the decay may lead to serious dental diseases like periodontal disease. Cosmetic dentistry can fix the issues and reduce the risk of gum disease and other oral health problems. Cosmetic dentistry helps in improving your smile, increasing your happiness, boosting your confidence, and reducing your overall stress level.